What Stage is my Business? Who is Deb Mazzaferro? And why do we call her CoachMaz? Deb’s successful multi-decade career as a Sales and Marketing executive in the specialty food industry is legendary. Industry experience with legacy brands, importers, start-ups, brokers, and distributors has given her a deep understanding of the entire industry. 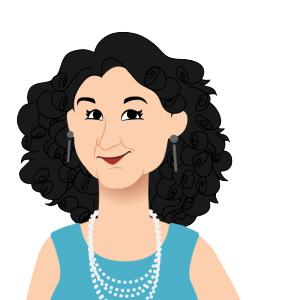 The CoachMaz moniker sticks because she’s the real deal… a business coach with credentials from The Gestalt Center for Organization and Systems Development. Deb’s Mission: To grow specialty food companies into sales and marketing superstars using best business practices. To be your go-to trusted advisor. Sales and marketing of specialty foods in consumer packages (including imports, confections and perishables), organizational development, coaching for executive team members, strategic planning, succession planning for established brands, recruitment of executive talent, and strategic and tactical preparation for trade shows (including the Fancy Food Show and Expo East and West). Whether you want to be a more effective team leader, grow your brand to lead its category, or help team members become leaders within their disciplines, Deb has skills and processes for you to reach your goals. Companies exist to make a profit. Define your market, hire professionals, treat them like adults. This sounds simple, right? In practice, not so much. Deb strategizes with you to develop a workable plan, then coaches your team to perform optimally and helps bring on new talent as needed resulting in a company culture where results soar, and people thrive. What’s next? Is it time for a professional or personal change? Perhaps its time to sell, or hire more talent, or change directions. Using her coaching skills, Deb can help you define and refine your goals, and help you reach them. She has affiliate relationships that complement her consulting, and deliver needed expertise in human resources, assessment testing, career shifts and succession planning. What can you expect from hiring Deb? An articulate, straightforward, analytical approach to your current business. Creative, experience-based solutions to direct your future growth. Responsible and focused on-going support and encouragement to ensure the best possible outcomes. Are you ready to start growing your specialty food business?